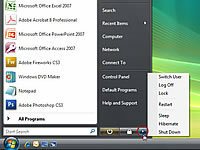 You can turn your computer off by shutting it down. 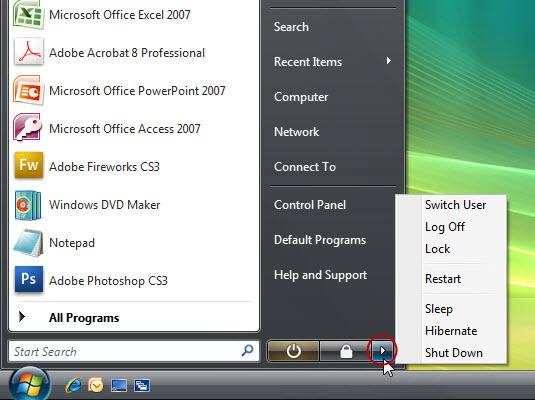 If you want to shut down your computer, rather than making it sleep or hibernate, you can. Be in charge! Shut down your PC whenever you please. 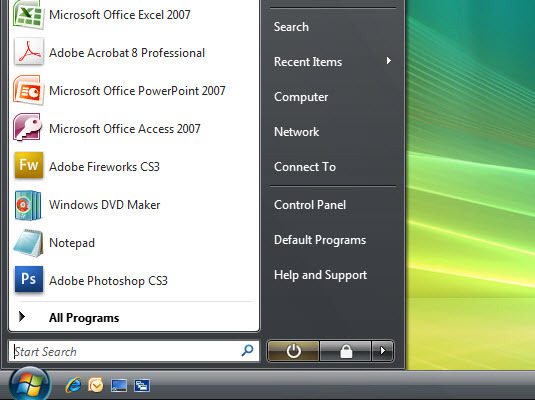 1Click the Start menu button. 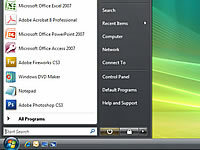 2Click the triangle icon in the lower-right corner of the Start menu. The Shutdown menu appears to the right of the icon. 3From the Shutdown menu, choose the Shut Down command. If you had any unsaved documents or files, Windows asks you to save them before it fully shuts down. After a spell and a fashion, the computer turns itself off. 4After the console turns itself off, go ahead and turn off the other components in your computer system. Turn off the monitor, scanner, and any other external devices. Or, if you have a power strip, simply flip its switch to turn everything off at the same time.